At Deseret Industries, we believe that anything is possible. 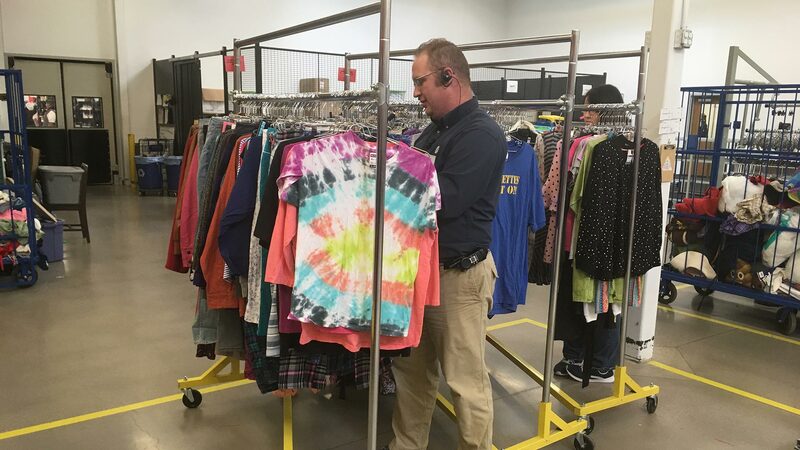 Dave Stephenson, store manager for the Cedar City Deseret Industries, set out to show his associates that you can do anything you put your mind to. 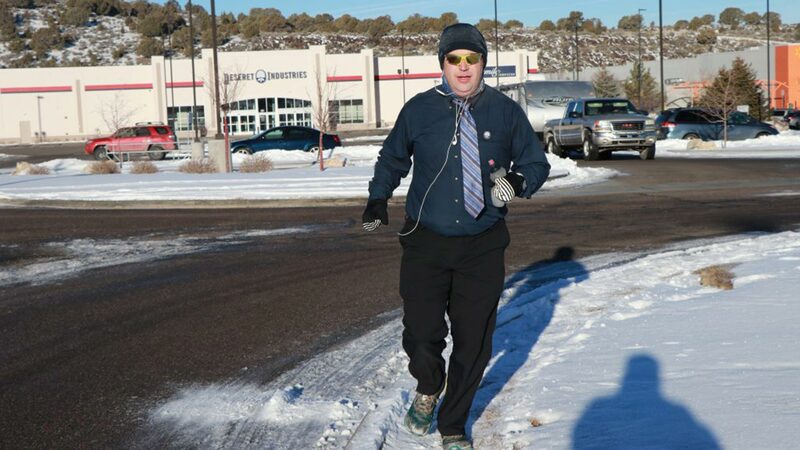 The store staff and associates worked hard and met their goals, so Dave picked a day to make good on his promise and decided to make it 263 laps—the equivalent of a half marathon. He put on his work clothes, bundled up, and got out there early in the morning in seven-degree weather to teach his associates by example that they don’t have to back down from a hard task. Dave’s no stranger to running. 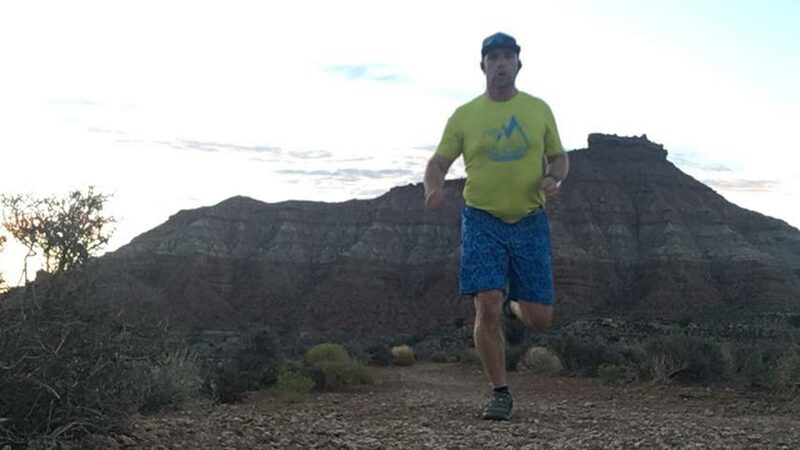 He has run marathons, and last February he completed a 24-hour race in which he ran 70 miles. But for him, running is more than just exercise. In meetings he often uses running as an object lesson to show that it’s possible to do hard things. He’ll relate it to life—you may stumble and fall, but there are people around you who can pick you up, like job coaches and other DI staff. A native of St. George, Dave has been the manager at the Cedar City DI for the past 7 of his 19 years with the store. He’s passionate about helping associates meet their goals and achieve what they had never thought possible. Because of this passion, he’s been known to make unconventional promises when staff members work hard to hit a target. He’s made other running-related promises, and one time he even borrowed a dunk tank to give associates and staff the opportunity to dunk him. He only got wet twice, thankfully! Dave loves working with people and helping the DI associates. While he’s had countless opportunities to see associates succeed as a result of their DI experience, he recalled the recent success of an associate on the autism spectrum who was extremely soft-spoken and reluctant to talk to anyone. As Dave and other store staff worked closely with her and provided her with job training, she started opening up and became a cashier at DI. It seemed close to impossible at first for her to achieve her goals, but she and the DI team didn’t give up. She was recently hired by a local restaurant to do work in her field of interest. Want to work with our associates as a store manager, assistant store manager, development counselor, or job coach? Visit deseretindustries.org/careers to learn more.